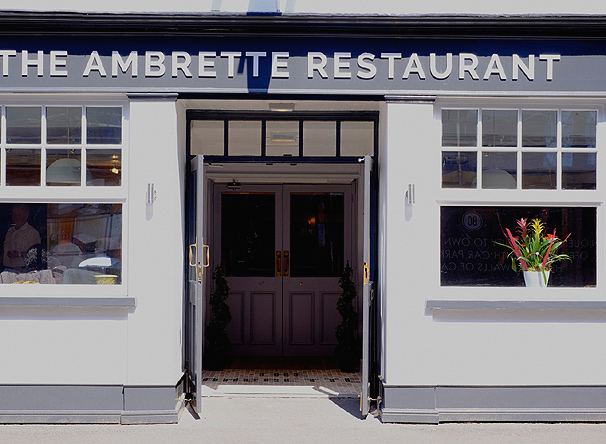 THE FIRST AMBRETTE RESTAURANT opened in Margate and has been a great success; we have dined there and enjoyed an interesting lunch. However, at Margate we were given a table tucked away off the main dining area which was desperately in need of some TLC. However, the second Ambrette  in Rye  also offers good value with the same 'British Indian'-inspired food and although the restaurant is smaller, the décor is certainly a step or two up. The latest Ambrette, centrally located in Canterbury's Beer Cart Lane, is the largest so far and offers an open dining area with well-spaced tables. Canterbury offers a challenge as eateries are everywhere but judging from the most successful dishes we tried, there is a space for at least one more. We were invited for a pre-launch dinner as a part of the training of both the new waiting staff and the team in the kitchen to develop their menus. Whilst there was still work to be done, the potential is there. If you enjoy Indian cuisine with a contemporary twist you will enjoy this food. Dev Biswal has taken inspiration from his native India, combining spices with western ingredients to produce British Indian cuisine. Just like the highly-acclaimed Atul Kocher (the first Indian chef to obtain a Michelin Star), Dev's food is delicately spicy offering us new taste sensations. Our extensive tasting menu had some clear winners: the dosai with gently spiced potatoes, mustard and onions (and coconut, pineapple and green pea chutney) was lovely but the zingy and lightly pickled courgette khandvi (savoury chickpea pasta with gooseberry chutney) was a real winner. There is a good selection of beers and it is obvious that they choose the wines for their qualities rather than the label or the bulk buy. We had a delicious white Chilean wine but it was different from the norm, so I asked to see the bottle; no grape was mentioned  which I admit would have been dismissed by me had I not already had a tasting. Homework pays off! As a postscript, we took our own advice and revisited on a private basis and we were more than pleasantly surprised. Dev Biswal, the owner and head chef was in the kitchen that lunchtime and his cooking certainly warrants the shower of accolades that have been bestowed upon him.